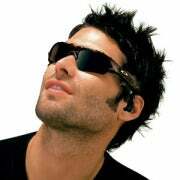 Google’s augmented reality glasses are said to look a lot like the Thump MP3 player glasses from Oakley. If bad cell phone etiquette annoys you, then Google goggles might just put you over the edge. Within the blink of eye, tilt of the head, a wireless connection to the Internet, and a pair of Google Android-based goggles your know-it-all friend is guaranteed to drive you crazy with random facts over coffee or movie trivia (compliments of IMDB) at the Cineplex. Google will debut digital glasses by the end of the year, according to the New York Times. That’s right: Android-based lenses overlaying your world with information like maps and data. We all knew this augmented reality product was eventually coming, but it is now looking literally like a disaster (or more) waiting to happen. We’ll apparently pay between $250 and $600 for glasses with one computerized lens, PCWorld’s Daniel Ionescu noted earlier Wednesday. The lens will be a contextual heads-up display that can tell you, for instance, how far you are from your destination. They aren't designed for continuous wear, however. Like Android phones, these goggles will be licensed to third-party companies and will use a 3G or 4G connection to download data. And how will you control the menus? By nodding and bobbing your head. Early reports say that the glasses aren’t designed for everyday wear, but that’s akin to saying that smartphones aren’t meant to be carried all day or home computers were only for certain tasks--before we carried our smartphones all day and used home computers for most tasks. I doubt that Apple planned on people texting while walking, either. Glasses are actually the final piece to Google’s mission: To know what a user doing every single moment of the day. The search giant already is unifying some 60-odd products into one log-in for continuous online tracking. And, as we reported last week, it’s enticing you to use Google to come up with those web passwords. Yeah, the digital glasses will be pretty strange and, at worse, pretty dangerous. Here are the very likely problems with Google’s ambitious product. Remember the fiasco with the Google van snooping on people’s Wi-Fi? You can imagine us having that same conversation about Google recording our movements, our moments, and our life without permission. As some commenters have pointed out, glasses theft could definitely rise once these expensive specs come out. If so, that might parallel the high number of iPod and iPhone thefts that occurred when those technologies first arrived. Worse, imagine being the boy or girl at school with computerized lenses. Aren’t four-eyed school kids getting harassed enough without wearing Lt. Commander Geordi La Forge eyewear? Coupons 24 hours a day--Now in Your Eyes! It’s all about location, location, location, and Google's goggles will have a direct bead on you 24 hours a day. On one end are Groupon, Living Social, and other mass-coupon services, and on the other are FourSquare, Gowalla, and other check-in companies. Google jumped into the middle of the fight last year with its Google Coupons app and, more recently, with Google Latitude check-ins. Both Google Coupons and Google Latitude aren’t making much of a dent in the competition, but having tracking data on users 24/7 would be a huge coup for both services. It would be automatic check-ins, pushed suggestions, and coupons. Lots and lots of coupons. It’s easy to picture a major food chain, like McDonald’s-owned Chipotle, paying for a top spot on your eyeglasses, kind of like an ad on Google search. The message could offer you a coupon every time a Chipotle restaurant is within a mile radius (which, at least in my neighborhood, is often). The Times estimates that the glasses will be priced like high-end smartphones, so you can bet that cheaper, subsidized goggles will come along for those willing to see tons of ads throughout each and every day. We’ve seen accident after accident of people texting, gaming, or web surfing while walking. The U.S. government is now considering banning all automobile phone calls, including hands free. Doesn't it seem like a bad time to develop digital displays in front of our eyes?